As innovation and growth in business models like Uber and Airbnb shake up almost every aspect of our lives, luxury travel is also beginning to embrace the Shared Economy. 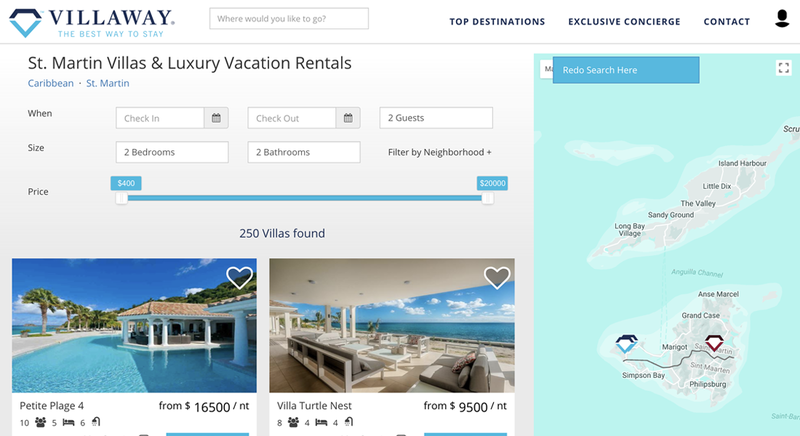 Emerging start-ups like Villaway are trying to disrupt the high-end villa vacation rental market as a service (vs. just selling them) with partnerships, custom concierge services, content marketing, destination articles and recommendations, motivating the marketplace with new service value-adds. Architect, design and deploy a content rich 2-sided marketplace web portal from the ground up with several real-time data feeds, over 4,500 initial properties in over 100 global destinations and custom backend workflows at a start-up pace and price. Efficiency was critical. Implement an all-in-one hosted platform solution for this content driven, early-stage start-up to drive cost efficiencies, speed to market, scalability and the flexibility to extend and iterate rapidly. Thinkspace delivered a hyper efficient web platform with real time booking, 24/7 call center & chat support, interactive maps, a custom search engine to best match guests and hosts based on their respective needs and histories, while at the same time cutting cost and time-to-market by 2 thirds. Publications like Forbes, Fast Company, Fortune, USA Today, Yahoo, New York Times and the Huffington Post, among many others took notice. 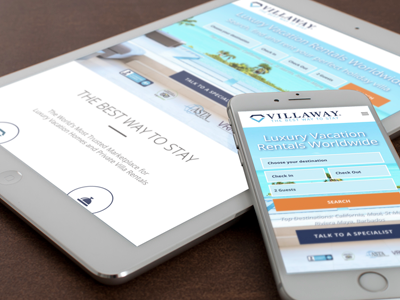 Villaway is now well on the road to market their properties to the next generation of affluents as they redefine what modern luxury is and how we enjoy it. @ 2014 Thinkspace. All Rights Reserved.